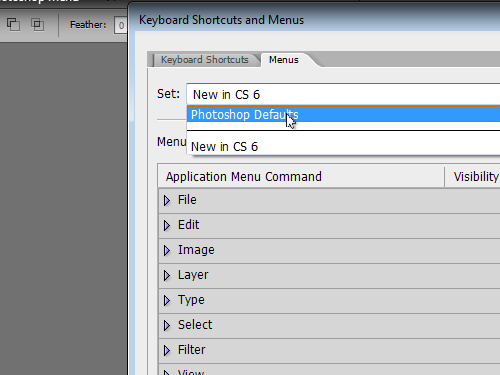 In this video tutorial we will show you how to reset Photoshop menu. Launch the Adobe Photoshop. Go to the “Edit” menu and select the “Menus” option from the drop down menu. In the appeared “Keyboards Shortcuts and Menus” window, in the “Menus” tab, go to the “Set” option and select the “Photoshop Defaults” from the drop-down menu. Then click on the “OK” button to approve changes. Now the Photoshop menu has been successfully reset to defaults.